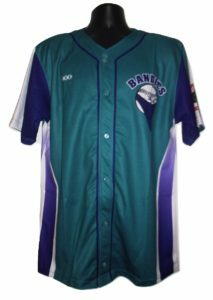 Our women’s full button sublimated softball jersey is available in mid-weight performance birdeye mesh that is perfect for teams of all ages, and is our number one selling jersey for All-Stars and travel teams. Take your gear up a notch with our pro weight double knit poleyester fabric. Team name, logo, front and back numbers, player name plates, and sponor names are all included.